ATLANTA, GA, February 04, 2019 /24-7PressRelease/ — The world’s premiere celebrity gifting lounge producer, GBK Productions, took over Atlanta, in honor of Super Bowl LIII, with three exclusive events where both Hollywood, and the Sports world’s top talent were gifted this year’s hottest items and trips. On Thursday, GBK partnered with the renowned Icebox Watches and Diamonds for a private two-day celebrity gifting lounge at their Atlanta, GA location. Icebox Watches and Diamonds is Atlanta’s leading custom jewelry location for top celebrities. Several of the cast of the hit CW Television Series Dynasty stopped by including Grant Show, Rafael de la Fuente, Elizabeth Gillies & Ana Brena Contreras, Lucas Till from CBS’s MacGyver, Alexander Ludwig from TV’s Vikings, Oscar winner Louis Gossett, Jr from HBO’s new Watchmen Series, Archer’s Amber Nash, Ray Donovan’s Brian White, House of Payne’s Lance Gross, Black Lightening’s Cress Williams & Kyanna Simone Simpson, Murphy Brown’s Merle Dandridge, Greenleaf’s Lamann Rucker, as well as singers, Maroon 5 minus one, The City Girls, OSBS, Backstreet Boys own Howie Dorough, Lil Baby, Drumma Boy and sports stars Brandon Carr, Michael Montgomery, Devante Smith, Devon Kennard, Jonathan Ogden and many more. On Friday, GBK participated in their 2nd Super Bowl event with an exclusive Gifting Lounge as part of Ray Lewis’ Ray of Hope Foundation’s ‘Gold Jacket Party For A Purpose’ event. GBK was proud to support this amazing foundation where guests got to experience a ‘bucket list’ ride on the Porsche Professional Driving Track. The Ray of Hope Foundation is dedicated to uplifting those in need through sharing personalized videos ‘rays of hope’ from luminaries and game-changers. GBK was on hand to gift a select group of sports stars such as Coach Bruce Arians, Jameis Winston, D’Andrew Walker, Brandin Boykin, Emmanuel Acho, Jerome Bettis, Adrian Peterson, Eddie George and artists, Akon and Prince J. to name a few. Sunday, following the Super Bowl, LA-based GBK created a luxury gift bag for the well-deserving LA Rams at the official celebratory Super Bowl after party. GBK founder, Gavin Keilly was on hand to personally present each team player, and coaches, with gifts that were specially prepared for them. 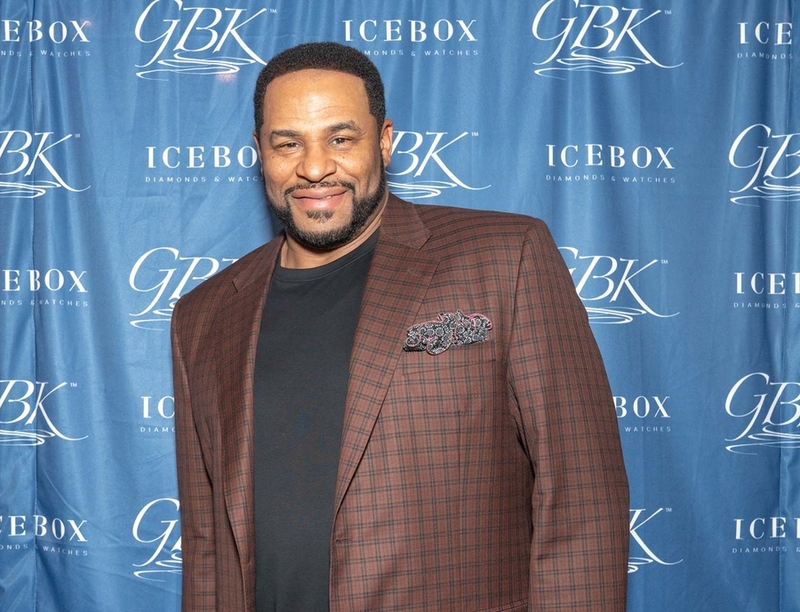 The celebrities and sports stars, who attended this week’s GBK Super Bowl luxury experiences were treated to gift certificates from Icebox Watches and Diamonds. Fit Farm, which gifted a stay at their fitness and wellness retreat in Nashville, TN, a HempSMART gift set of their premium quality botanical supplements derived from organically grown industrial hemp and The Limelight Hotels, which offered a 3-night stay in either their Aspen, Snowmass or Ketchum resorts. Other items gifted included Sound of Sleep sound machines, Plus CBD oils, Evolt 360 muscle stimulation tool, Fanchest sports merchandise, La Corte Dell’ Astore Italian trip, Inga & Evija handbags, Pura Still beer and malt beverages, NARS cosmetics & Silverite pillows and more.